Nine men were cut off in the south main section until one came out through the smoke and returned with a party wearing self-rescuers. The eight men who had barricaded themselves in a room were supplied with self-rescuers and walked out after an undisclosed period. A gas and dust explosion at 3:20 p.m. killed 6 men in the tipple and 91 in the mine; 86 of those underground met instant death, 2 traveled about 500 feet before they were overcome by afterdamp, and 3 attempted to barricade themselves in a pumproom but were overcome by afterdamp. Messages left by 1 of the 3 men showed that they lived 3 hours or more. Nine men were cut off in the south main section until one came out through the smoke and returned with a party wearing self-rescuers. The eight men who had barricaded themselves in a room were supplied with self-rescuers and walked out. Five men in the tipple were seriously injured. The explosion originated near the farthest working face in the mine when an open- type storage-battery locomotive ignited an accumulation of gas. 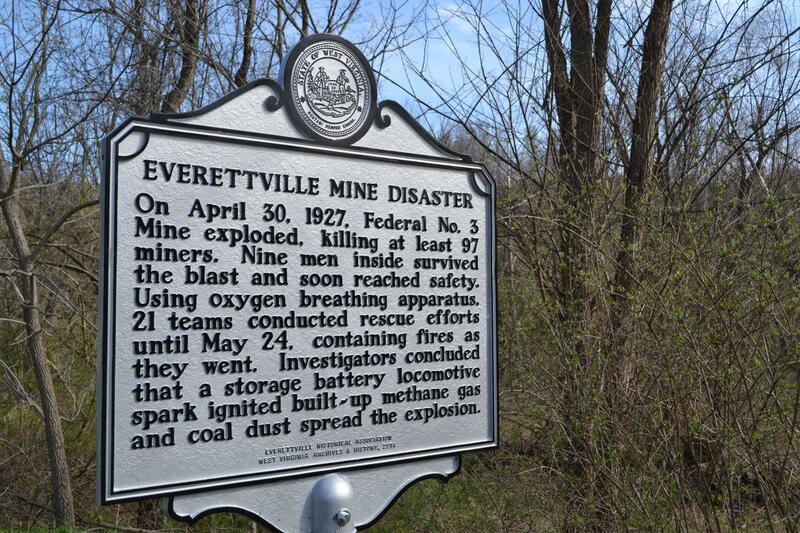 The explosion was propagated by methane and coal dust to all of the mine except the south mains. The mine had been partly rock-dusted, but the rock dust was not maintained. Assistance was called, and many recorery experts and apparatus crews assembled. The 21 apparatus crews built 80 stoppings while wearing apparatus. Ventilation was reestablished and the mine cleared 12 days after the explosion. The last bodies were removed May 24. Property damage was extensive. Automatic doors on the main haulage road were being repaired, and this interruption of air currents to the faces caused the accumulation of gas in the mine's inner workings. Henry Russell�s Last Words, written by Diana Jones was inspired by this mine disaster. The song documents the final moments of a West Virginia coal miner trapped underground following a mine disaster. Henry Russell was born in 1885 in Hamilton, a town near Glasgow, Scotland. He worked in Scotland as a miner before emigrating to the U.S. with his pregnant wife, Mary, and their two young children. They moved to Monongalia County, West Virginia, where Henry found work at the Federal No. 3 coalmine in Everettville. 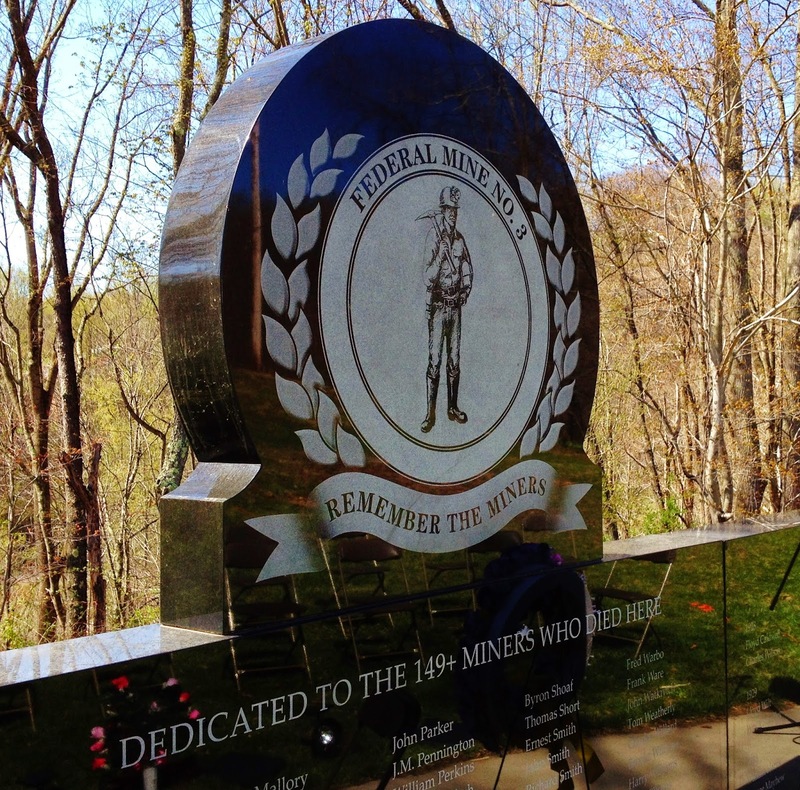 April 30, 1927 probably began like just any other workday for the miners of the Federal No. 3. But the day came to a sudden end for 97 of the miners when a massive explosion ripped through the mine, killing most of them instantly. Only nine miners working that day survived. Several men survived the initial blast, trapped hundreds of feet underground for several hours before succumbing to gas fumes. Among them was Henry Russell. Russell gathered pieces of coal and scraps of paper torn from cement sacks, and began to write notes to his wife. The notes, which he placed carefully in his lunch box, were found along with the bodies of Henry and his coworkers and passed along to Russell�s widow, Mary. 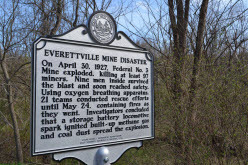 On April 30, 2011, 84 years to the day after the disaster, the memorial was dedicated in the town of Everettville in memory of 149 coal miners who lost their lives in accidents there during the years the mine operated, 1918 to 1951. The memorial, which stands on a hillside overlooking the former Federal No. 3 Mine, is a 7.5-ton stone inscribed with the names of the miners, many of whom lie buried in unmarked paupers� graves. See Video.